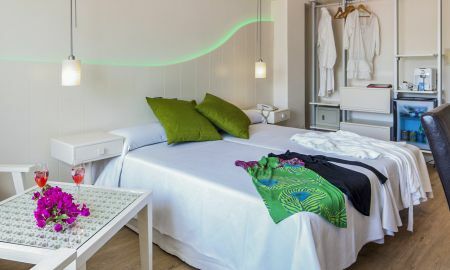 Mikasa Ibiza Boutique Hotel has a privileged location in Ibiza's Paseo Marítimo. 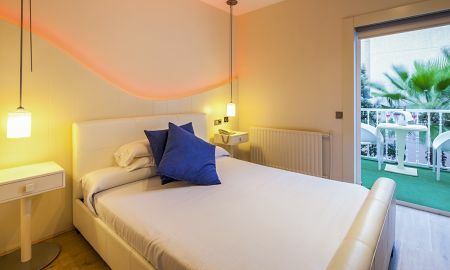 This charming hotel boasts 16 rooms, all refurbished in 2014 and elegantly decorated in an avant-garde style. 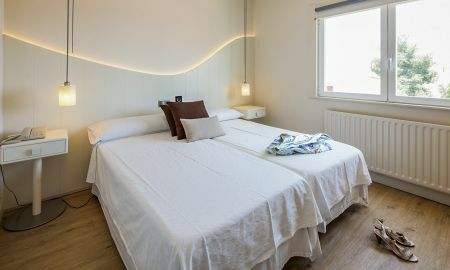 Rooms are equipped with modern amenities, including private bathroom and independent air-conditioning. The Mikasa hotel serves delicious Mediterranean breakfast on its terrace, a perfect place to enjoy the sunshine and the views over the marina and the old town. Mikasa is situated in a tranquil and elegant residential area in Ibiza near to the two marinas, offering a wide range of excursions, close to Talamanca beach. The friendly staff at Mikasa provide a personalised service to ensure an unforgettable experience. The Mikasa hotel is located in Ibiza's Paseo Marítimo. Its terrace boasts fabulous views over the historic area of the city and bay of Ibiza. Talamanca beach is only a 3-minute walk from the hotel and is surrounded by a wide range of restaurants. There is no better way to get to know the city than taking a boat ride; the port of Botafoc Marina is situated in front of the hotel, and includes exclusive shops.